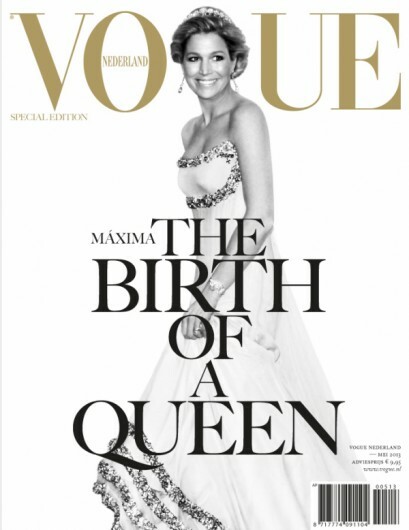 Vogue Netherlands launched a special edition: Maxima, the birth of a Queen. On the cover is Maxima captured in a dress by Jan Taminiau, the dutch fashion designer who did also the amazing royal blue dress Maxima wore during the inauguration of her husband, King Willem Alexander and the bordeaux red dress during the King's Cruise in Amsterdam on the 30th of April . This collector’s edition is now available at the newsstand in the Netherlands and developed for Vogue Nederland by BLOOM Publishing & BLOOM Creative.